Once you have transitioned to a wellness care plan with upper cervical care, the doctor will strongly encourage you to begin our nutritional sufficiency program. We will have you complete a very thorough nutritional systems survey so the doctor can accurately identify nutritional deficiencies that may be causing weak or dysfunctional organs/glands and other abnormal symptoms. The doctor will also perform a series of non-invasive organ palpations, muscle reflex exams and neuro-lingual testing that assist in detecting nutritional deficiencies. After the survey and exams have been performed, the doctor will determine a specific nutritional protocol using organically grown, whole-food supplements that will support proper function in your organ systems. The doctor will perform a follow-up evaluation after following your nutritional protocol for several months. The doctor will make adjustments to your supplement protocol as your health status improves. Proper nutritional supplementation is necessary to be completely well. 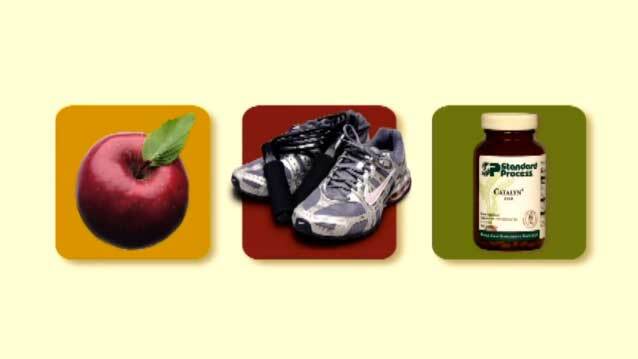 Please visit www.StandardProcess.com to learn more about the many benefits of whole-food nutritional supplements.